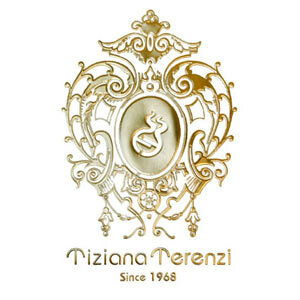 Tiziana Terenzi is a family owned Italian niche brand of fragrances, primarily scented candles and then perfumes. It was established as Cereria Terenzi in 1968 in Cattolica, in a space of 16 square meters, upon the enthusiasm of its founder, Evelino Terenzi, who, through innovation, continued a family tradition: his father, Guglielmo, participated in the foundation of a waxworks that produced devotional and Paschal candles for churches. With the help of his wife, Luigia Mancini, he set up an artisan laboratory in a small room of the big family home; the first brick in what would become a tale of over 40 years, passed down to the current day, generation by generation. Evelino Terenzi’s children, Tiziana and Paolo are now the owners of the brand. Tiziana Terenzi is the designer, while Paolo Terenzi is the nose and the president of company.